Welcome to Lubertos Brick Oven Pizza & Trattoria in Dublin PA, owned and operated by Ernesto & Louise Leone. Lubertos has been a favorite in the Dublin area for over 22 years and Ernesto & Louise, the new owners, bring with them over 40 years of restaurant success. When Giuseppe & Palma Luberto decided to sell their restaurant, it was perfect timing for the Leone’s. Their restaurant, Café Riviera, had recently closed at Neshaminy Mall after over 37 years of business. 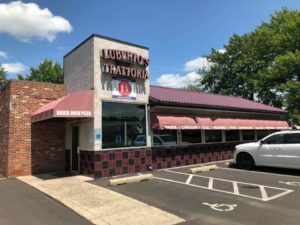 The Luberto’s restaurant had the same philosophy as the Leone’s have always had; home-styled, authentic Italian specialties and delicious pizza in a comfortable family style restaurant. They are very excited to be in the Dublin area. Joining them at the restaurant is their long time Italian chef Massimo and Manager Kim who have worked with the Leone’s for many many years. Come in and visit with us; bring your favorite wine or beer and relax in the warm friendly atmosphere while enjoying an amazing meal!